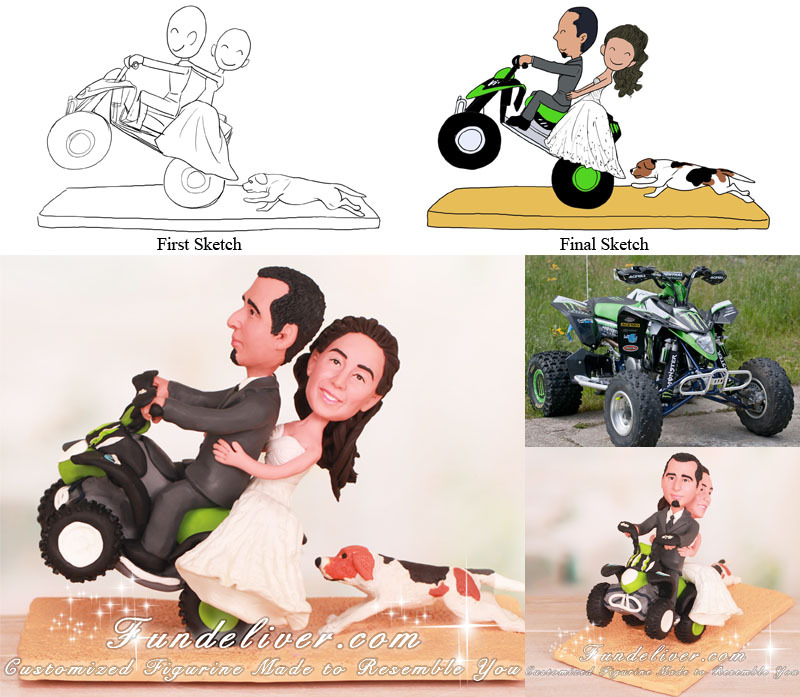 This is a completely customized couple doing wheelie on ATV wedding cake topper ordered by one of our customers. The groom is in his grey tux and bride is in her white wedding dress. For the pose, they would like the couple to be doing a wheelies on their green ATV with groom riding on the front and bride sitting behind. Also they would like their dog to run behind, chasing them. 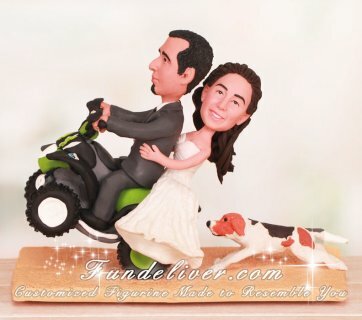 Perfect pop a wheelie on 4-wheeler cake topper for ATV rider.